Saturday's UFC card featured one helluva beatdown: Jon "Bones" Jones turned Chael Sonnen into a bloody mess. But at least Sonnen was ready for what eventually hit him. 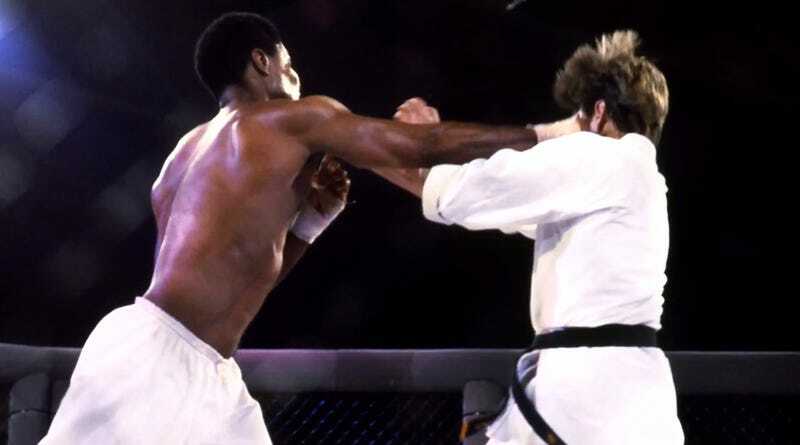 On this week's excerpt from Slate's Hang Up and Listen podcast, Josh Levin tells the story of Fred Ettish, a novice who had to step in and fight at UFC 2 in 1994. It did not go well. (He is, for example, not the black guy in the above photo.) But Ettish eventually redeemed himself.